Every morning you’ll get a big and healthy breakfast. We provide a wide choice of cereals, French bread, eggs, Nutella, jam, juices, milk and much more to kickstart your day. At noon we opt for a picnic with a view on top of the mountain or a lunch at the basecamp with different sandwiches to suit everyones wishes. 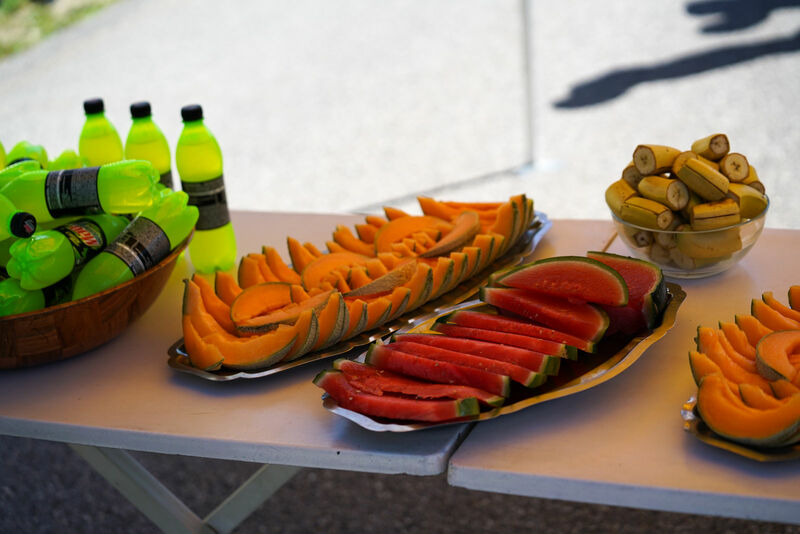 To give our energy an extra boost in the afternoon, we provide you with snacks, pancakes and fruit. In the evening you can once again enjoy our freshly cooked meals. With pasta buffets, cosy BBQ’s with a wide choise of vegetables, wraps, hotwings-dogs en much more! Almost logical that all our guests choose the full board. If you'd rather cook for yourself with your friends, you can do so. Each room is equipped with its own kitchen! Our bar offers you a range of snacks at any time as well.